For over two centuries, a hallowed temple of Milanese music and opera. 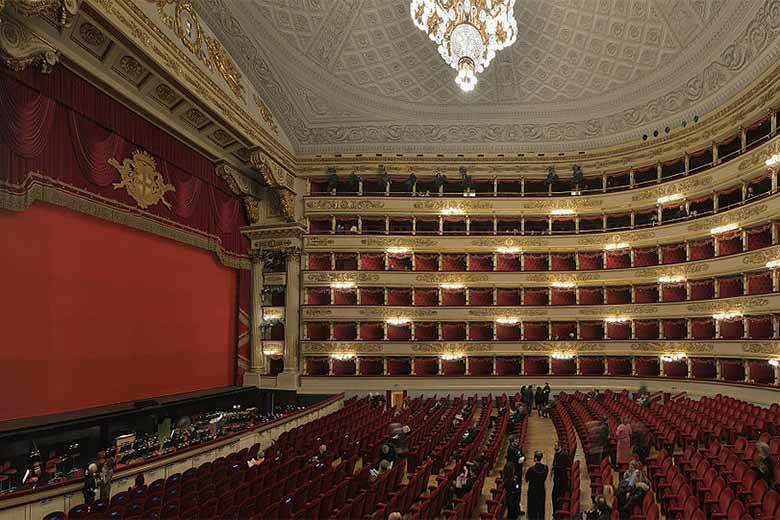 Designed by Giuseppe Piermarini and inaugurated in 1778, Teatro alla Scala was totally refurbished in the early 2000s (2002-2004) under the supervision of the renowned architect, Mario Botta. Today the theatre is recognized as one of the leading opera and ballet theatres in the world and offers seasonal events including choral and orchestral works. Out-of-season events are also often organized by private institutions and foundations.